Here's a video greeting from Mrs. Yollis! 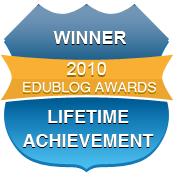 This blog is the centerpiece of our classroom community. It is a wonderful space for sharing and learning together. 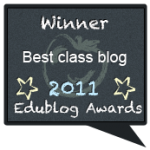 Here is a link to an article I wrote about the benefits of classroom blogging. I hope you'll have a chance to read it before our Back to School Night. If you are a new or returning student, please leave a comment telling me about yourself. What did you do over your summer break? What adventures and experiences did you enjoyed? Be sure to limit personal information! 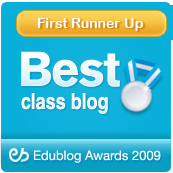 If you are one of our blogging buddies, please introduce yourself to my new class. Where are you from? What have you been up to? Remember to proofread your comment with a parent before you publish! If you are not sure how to comment on this blog, watch this video tutorial! It will walk you step by step through the process! I am so excited to meet everyone tomorrow. I am Beverly, the big brown bear in the video. I visited my relatives on Kodiak Island in Alaska this summer. Tell us a little about yourself! What did you do this summer? What are your hobbies? Remember, limit personal information on the internet. Also, when you are ready to publish your comment, select "Comment as:" and select "NAME/URL". Write your first name and leave the URL box empty. I can BEARly wait to meet you! Hi Mrs. Yollis, My name is Jake. My brother Sean was in your class for third grade a few years ago. I can't wait to meet Beverly the Bear. This summer I went to Great Wolf Lodge and Palm Springs. I also went to camp with my friends. The best thing I did this summer was going to Dave and Busters. After my brother and I went there, we started making games out of card board boxes. It's been a lot of fun. I am excited to meet you tomorrow and I hope I can win the most blogs award like my brother did when he was in your class. Congratulations! You are the first commenter of the year! I'm not surprised because your family has blogging experience. You mentioned you were building with cardboard. What should we make with our discarded supply boxes? What slides did you like at Great Wolf Lodge? Did you like Dave and Buster's more than Great Wolf Lodge? I like building the arcade game with you. Hi Benjamin. What arcade game are you working on now? Once you finish the game, where are you going to set them up and what will you charge to play it? I heard you got some really cool prizes. WIll you have to trade in tickets for the prizes or can you win a prize just for playing the game? We are not working on an arcade game now. We will work on it on Friday if my mom allows me to bring boxes. Some of the prizes are whistles, paddle-things, erasers, and Halloween straws. Do you want to play the arcade game? Hi Mrs. Yollis. I am Jake's twin brother Dylan. I am in Ms. Tulbure's class this year. I hope you had a nice summer vacation. I hope you have a good school year too. Thanks for dropping by and leaving us a comment! Ms. Tulbure has a class blog too. We'll have to comment to each other! When you said you lived on Kodiak Island, it made me think about the whole wheat pancakes instead of white flour pancakes that our mom makes us eat, called Kodiak Cakes. Well, it also makes sense because there is a bear on the front of the box. I'll tell you about my hobbies. Last year when I was in second grade, I liked to play tetherball a lot. I'm very good at it now, and beat Kostaki. Now I want to tell you about our vacation. We went to a Cretan Convention in San Francisco. It was like the fourth of July, only for Cretan people. We Greek danced, had really good food, and had a Greek soda called Gazoza. We also went to Ohio and visited our grandpa and grandma. I can BEARly wait to meet you too! Your comment was funny, especially when you talked about pancakes. We have a question for you. What does Greek soda taste like? Are you fully Greek? What did you mean it was like the Fourth of July? Looking forward to reading your answers. First of all, thank you for saying my comment was funny. Also, the Greek soda tastes like sweet bananas and "Gazoza" is the name of the flavor. There are other flavors too that I think are better. One is blood orange, and I think that one is the best. There's also lemon-lime. I'm only 75% Greek, the other 15% is part Scottish and unknown because my Great Grandma was adopted. When I said it was like the Fourth of the July, I meant that there was a lot of partying and Greek festivities, which is funny, because I was actually born on March 25th, Greek Independence Day. I'm excited to be in your class. This summer I went to Thailand and New York. My favorite food was Pad Thai noodles. See you tomorrow. Great comment! We have some questions for you. How was Thailand? What did the Pad Thai noodles taste like? Do you have family in New York? If so, who? Did you go to the Statue of Liberty or to the Empire State building? I am looking forward to being in your class this year. I enjoy reading and my favorite book is Harry Potter. I am a brown belt in my martial arts class and I enjoy playing chess and building with Lego. I had a great summer! First I went on vacation to Reno, Lake Tahoe and Mammoth Lake. I went on a speed boat and caught a fish! Then I went to three different camps: Chaminade, Cub Scout Camp and Camp JCA Shalom. I look forward to meeting you and my classmates tomorrow. How was the rainbow trout? What kind of bait did you use? How did you catch it? Were you fly fishing like Mrs. Yollis? Did you snowboard or ski? Jackson has a connection. He went to Avila Beach and fished. He caught a five in long fish. It was delicious! The rainbow trout was yummy! I used worms as bait. I was not fly fishing but used a rod and line without a reel. I did not snowboard or ski. I also went to Reno as part of my trip. We did a lot of fun things like swimming, bowling, mini golfing and going on rides. I built a robot with a team of kids from all over America and the robots battled each other. My team got second place out of twelve teams. One of the most fun parts of the trip is when we went to Bodie Ghost Town. I am so happy I got you. I actually wanted you because I am really into coding, typing, and technology. I'm very excited about blogging because I love to write and I love technology! Now I want to tell you about my summer. I went to Italy to visit my grandparents, family, and friends. The food was really good. I had all sorts of pastas and it was very delicious especially my Nonna's food. Also, in Italy, the beach is really nice. The water is warm and very shallow all the way out. We found so many crabs in the water in this one spot so we named it Crab City. We stayed out really late every night because that's what everyone does over there. I really enjoyed it but when it was time to go I was really sad. I have a lot of hobbies: I like to roller-blade, ride my bike, play tether ball, soccer, tennis, swimming, play Roblox with my sister, Valentina, who goes to AC Stelle, I like to read, sew, and I like to travel. I also love to create art. The thing I like to do most is cook with my mom. I can't wait to meet you tomorrow morning. I also want to meet Beverly the Bear and all the others you have waiting. I can't wait to have a new year with you. My name is Mia, but you can call me Mimi. My name is Kaya, I am one Mrs Yollis' former students. I heard you like coding and technology, well your in luck because in Mrs Yollis' class you learn a lot about that sort of thing. I think that it is so fun that you went to Italy. I have never been to Italy but I would definitely like to. Over the summer I went up to Oregon to visit my cousins and grandparents. A couple days ago I watched the solar eclipse. That's when the moon completely covers the sun. Did you see the eclipse? How was your first day at school? Mrs. Yollis is a great teacher. Well, I know you will definitely go to Italy and you will have so much fun there. How was Oregon? Did you have fun? I would love to go Oregon. studios with my cousins and we had a great view. Do you like your teacher? What's your favorite subject? I'm Will and I have had a great summer. This summer I went to Wisconsin to see my cousins. We had so much fun tubing on the St. Croix river. I also went to San Fransisco which was really cool. My favorite parts were seeing Alcatraz up close, going over the Golden Gate Bridge and driving up and down the roads in the city. My favorite hobbies are playing frisbee, playing with my dogs, and playing soccer. I also really like math and want to learn about powers this year. My favorite books are The Diary of a Wimpy Kid series. I heard Wonder is a really good book and I plan to read that next. I can't wait for tomorrow, the first day of 3rd grade. I think I will learn a lot from you this year. I'm so excited to meet you. Thank you for helping Jake and me with the arcade game. What do you want to do for your game when it is your turn? My name is Benjamin. I went to Arizona this summer with my family. I also went to camp with my friends. I went on different adventures with my family to the beach and the zoo. My favorite part of this summer was doing all of the activities in Arizona. I'm so happy that you are my teacher. How did you like Arizona and what did you do there to stay cool? Which was your favorite camp that you went to this summer? My favorite camp was Camp Keystone. I liked the sleepover the best because we got to stay in a tent together with you, Austin and Dylan. This was awesome. Are you going to go back to Arizona next year? 1. You could do activities like making a bracelet, candy bar bingo, caramel apples. 2. You can go on the lazy river with a tube and there is a water slide that you can go down. 3. You can go swimming. My name is Dexter. We went to Alaska on a cruise. It was really fun. I like playing baseball and my Nintendo Switch. I'm excited to have you as my teacher. I can't wait to se my friends. My name is Ethan. This summer I went to Long Island, New York. I loved taking the train into the city where I went to Time Square and to Broadway plays. In Long Island I esp loved going to a water park called Splish- Splash and going 140 MPH on a cigarette boat. I love to play sports esp baseball, basketball & soccer. Lately I have been enjoying skateboarding. I look forward to 3rd grade and being in your class. It is gonna be a great year. My name is Kody. I am excited to be in your 3rd grade class this year. I loved your snorkeling video! This summer I learned to snorkel when I went to Mexico with my family. I saw an eel, a ray, a pufferfish and sea turtle. I also went camping at Mt. Lassen National Park and fished for rainbow trout. My favorite hobbies are swimming, camping, skiing, reading and science. I also love Harry Potter books and chess. I am looking forward to learning more about technology this year. I'm trying to learn HTML coding. YAY! it's so fun and I memorized the heart already ♥ . My name is Kaya, and I am one Mrs Yollis' former students. I think it is so fun to learn HTML code. I remember that I learned the hearts first also. What a happy surprise to hear from you! I miss you! Thanks for being such a great role model for my new students. I am just teaching them about blogging and html, so your wonderful comments have been appreciated. How is your new school? Tell my new students a little about yourself as I can see you will be one of our blogging buddies. Third grade is so fun! My name is Kaya as some of you may already know. I am one of Mrs. Yollis' former students. Some of my hobbies are reading, (of course) dance, and gymnastics. I just moved houses and schools. My new house is a fixer upper. There are actually people building a wall right now. My new school is also fun. 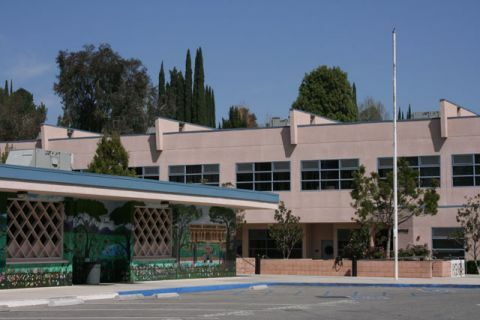 My very best friend goes there with me and also I went there for kindergarten and first grade, so I know the school a little bit. Have any of you been making friends? What do you like about Mrs. Yollis' class? Are any of you new to the school? I really enjoyed hearing about your Summer! I had a fun Summer too. I went to Avila Beach with my friends. We went fishing and I caught a one foot long fish and many other small fish. They tasted great probably because of my mom's good cooking. I also went to New York City. I went to the Ninja Restaurant where we ate sushi and Ninjas jumped out at us. The hotel we stayed at was called The Dream Hotel. The bottom of the pool was glass so you could see people in the lobby while you were swimming. I also went to Coney Island. Coney Island is an amusement park in New York. We rode a lot of rides, it was so fun! I had a really fun Summer! Wow! You had one fabulous summer! WE have a few questions for YOU. What was the ninja experience like? What do you mean they jumped out at you? Where did they pop out from? Did they say anything? We LOVE the idea of a pool with a glass bottom. Did you do anything to entertain the people in the lobby? I told you I'd do all of them! Have you memorized any of them? Yes, I memorized these: ♥, ♠, ♦, ♣! Chloe wow you did do them all! Let me try the sun! Ms. Tulbure's 3rd grade class watched your Welcome Back video and it looks like you had a terrific summer. You are a wonderful teacher! Tyler thinks that it's awesome that you were able to catch a fish while fly fishing. He also fishes and he really enjoys eating his catch of the day. He usually catches fish at the beach. Dylan really likes that you find heart shaped rocks on your trips. The one you found from Montana looks fabulous! Olivia's Nana had a house in Jackson Hole and she is familiar with the place. She had a duck pond on the property and she would feed the ducks. Belana also found a pink heart shaped rock last summer. She found it with many other rocks at the beach, but it was a bit of a scavenger hunt to find this particular rock. Last summer Alexa found many rocks, but she accidentally stepped on one and it broke in half! However, she thought of a great idea. Why not make it a bracelet? Now, Alexa has a bracelet made from the rock. Amit really enjoyed your summer pictures, especially the one with Old Faithful at Yellowstone National Park. He was so amazed seeing that photo. He has not yet seen Old Faithful before. We had a lot of fun with our summer as well. We can't wait to read your next blog post! How many fish did you catch on your trip? Thank you so much for your fabulous comment! Jackson made a connection with Olivia's nana. He used to have ducks in his pool! He named them Edward and Millie. Jake made a connection with his twin brother, Dylan. He also liked the ♥ -shaped rocks that you collect. It is a cool idea and it was quite large. Jake F. has fished like Tyler. He caught a salmon when he was five years old. His parents thought it was delicious. Zineb is enjoying blogging and connecting with other classes. We are going to check out your blog and leave you a quality comment! welcome to Mrs. Y♥llis' class blog! I have a few questions, @Amit Which part did you like about Yellowstone National Park? @Tyler What kinds of fish do you usually catch at the beach? @class Have you been practicing HTML coding? 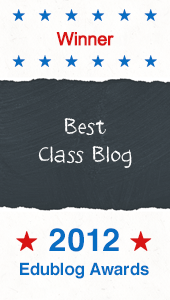 I'm really looking forward to reading your class blog. Hi Will. I also memorized the HTML codes. It's a lot of fun. Which is your favorite HTML code? My favorite one is the diamond. I will make a diamond right now. ♦ I hope you had fun over the summer and I'm glad we are in class together this year. This summer I went to Seattle and Vancouver. My family and I went on a ferry to Vancouver island. In Bug World museum I saw a lot of cool bugs. In Bug World I saw a scorpion,beetles,tarantula,walking sticks and a lot of butterflies. It was so fun in Seattle and Vancouver island. Ava, I went this year to Vancouver and Seattle too!I In Seattle, I went to go whale watching. I saw sooooo many orcas! Vancouver was great too. I went to eat at a restaurant called "Organic," it was so organic the yoke of the egg was orange! How was Vancouver island? How was Seattle? How was the bug world museum? Did you get to hold the bugs you saw? How was the ferry? Hello Mrs Y♥llis, :) Im having so much fun this year typing and using HTLM coding! I'm practicing the new typing strategy! I'm getting better at it too. However, in the NEW strategy I'm pretty slow, but I'm getting faster every day. I am learning HTML codes.It is cool to see HTML symbols.I like the crown the most! ♥ ♔ ♦ ♥ ♔ !!! Hi Jake, my favorite Html code would have to be the crown! ♔♔♔. Other than the ♦ HTML code what would be your second favorite??? Mine would be the sun ☀☀☀! I love this HTML post because it taught me all different HTML codes like: ♥ and ☀ and many more! I am going to memorize them all! Hi Mrs Yollis and year 3's. I love your welcome! 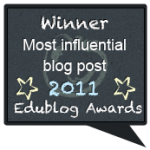 I'm starting a blog for the first time with my year 3 class this year. Our school year doesn't start until the end of January so I'm using this time to research and learn how to blog before I'm in the dizzying whirl that is teaching full time for the first time in years and trying to be with my own children as well.